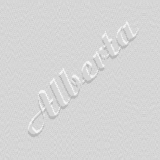 University of Alberta ArchivesGlenbow Library & Archives Metis genealogy, CPR land sales records, local history publications from communities in Alberta, city directories from Alberta, and more. Provincial Archives of Alberta contact at paa@gov.ab.ca or by phone at 780-427-1056. Located at 8555 Roper Road, Edmonton, Alberta, they have copies of the Canadian census, passenger lists, homestead records, photographs, family histories, and civil registration of births, marriages, and deaths. They have a computer database of deaths and burials that can be very helpful. They also have the Oblates religious records of Metis families "First Families of the West" and most of the local history books for Alberta.